Well, hello my lovies, 2009 is ending and will all the lists that are coming out left and right, from the really inspirational to the downright stupid, I was inspired to come up with my own all-RobSten list. This will be serve as a yearender sticky post, please scroll down for more , newer updates! 12. 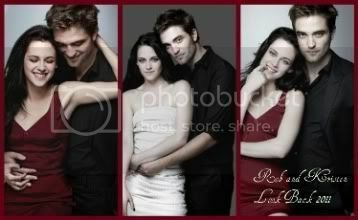 Kristen and Rob's solo pictorials for Interview and Vanity Fair. Special kudos to Mr. Bruce Weber who was very gracious to share all the Vanity Fair outtakes. 11. New Moon - of course. 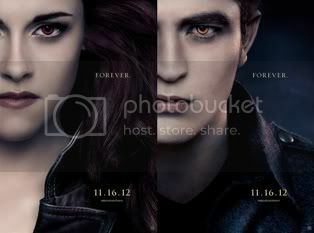 It was a treat to watch Rob and Kristen again on screen as Edward and Bella. Let's all be honest here, how many times did you see Edward strut in the parking lot in the big screen? 10. Rob and Kristen (with Tay) on Jimmy Kimmel. This was a fun interview. Rob slipped with his "Oh, my God'" reaction about the swineflu shot question directed to Kristen and Kristen was protective and overreacted about Rob's "button-challenge" question from the audience. And Kristen got engaged this night... unfortunately not to Rob - but to Guillermo, haha. 9. Entertainment Weekly Article. Check the scans here . The Twitrinity had a fun interview and Kristen made a little slip, when she said "What! Trust me? I think I would know." about Rob's taxi incident over in NY. 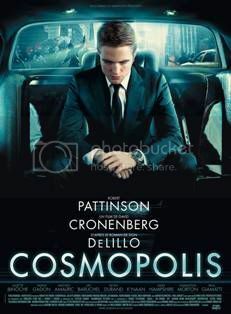 We also learned some juicy deets on the Eclipse intimate scenes (Edward is shirtless...oooh), and that Rob still does not have a publicist and still thinks there is no need for it. I bet with his experience with Summit's witch of a publicist during the LA premiere, that would def cemented his decision about NOT hiring one. 8. 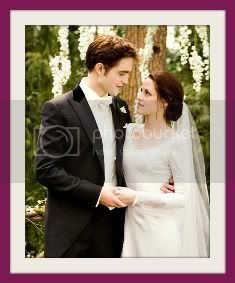 The Vanity Fair Kiss- October 14 was extra special because the pic that was an epic mystery for the RobSten crazies surfaced after almost a year in "storage", dubbed as "The Kiss". I captured this blurry shot from the Vanity Fair vid coverage of the shoot and was elated that it was replaced with this awesome outtake. Why is this an outtake, still remains a mystery. 7. Comic con 2009. Fun time reunion of sorts for Rob and Kristen after being separated over the summer. Kristen was being badass with her "I can't wait to get pregnant!" comment that made Rob blush. This was believed to taunt the press regarding the ugly pregger rumors over the summer. Rob and Kristen were hilarious from this backstage interview. 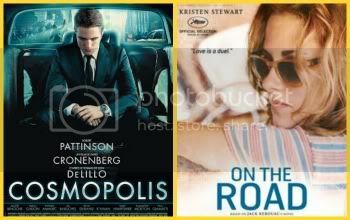 Kristen never fails to make Rob lose his concentration - LOL. 6. 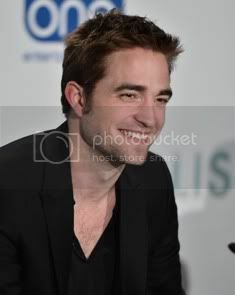 London New Moon Presscon. This cute Kristen slip as she holds Rob's hand, is as sweet as Tay's knowing smile. 5. Madrid New Moon Q&A. 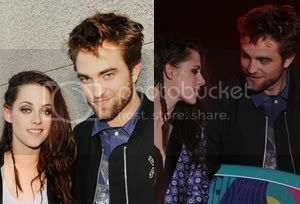 It's Rob's turn to slip and spill on RobSten. 4. The New Moon Exterior Kiss- Valentine's Day was a hot day in May- LOL, when Rob and Kristen shoot the reunion kiss in Montepulciano, Italy. Let's hope the hot kiss that we did not see in New Moon will end up in the DVD deleted scenes. 3. The Harper's Bazaar pictorial- Mark Seliger shoot. Check out the rest of the outtakes here in case you missed them and the click on the whole article with the "newlywed-game" type Q&A. 2. The Kings Of Leon concert New Moon cast "date". August 15, 2009. 1. Paris airport holding hands, arm-hitch pics. November 10,2009. No explanation needed. Happy New Year you all! Thanks for all the good times. 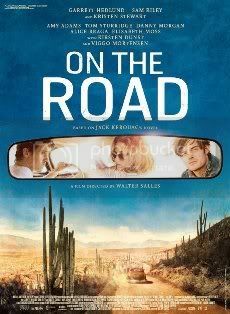 And here's to a more colorful RobSten ride in 2010 !! !